Cycle the scenic Leelanau Trail and sail Grand Traverse Bay back! Cycle along the Leelanau Trail that overlooks rolling vinyards and scenic orchards. Stop for a wine tasting provided by Shady Lane Cellars. 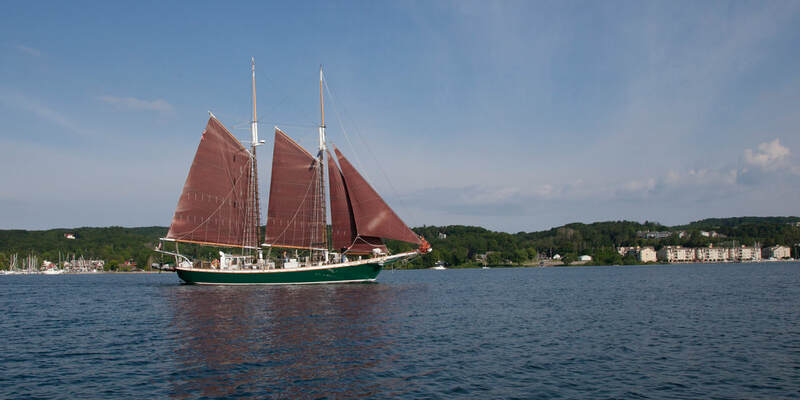 Enjoy a 2-3 hour sail along beautiful Grand Traverse Bay aboard a 77’ Gaff Rigged Tall Ship Schooner. Enjoy a catered meal presented by Chef Bryon Figaroa of Figs. This tour is Pure Michigan at its finest! 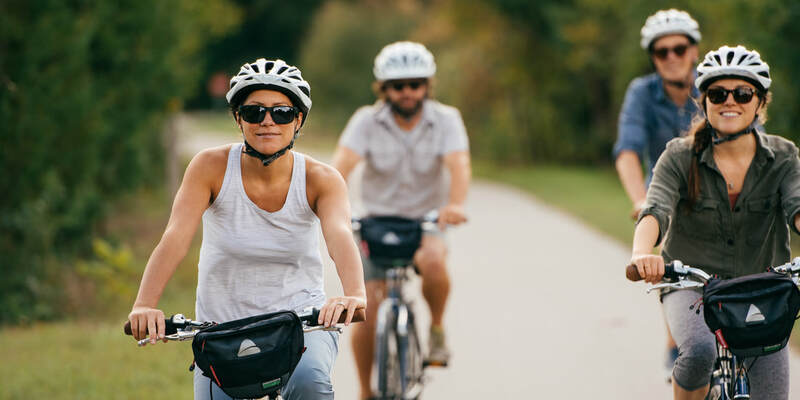 Pedal the scenic Leelanau trail; take a break overlooking the vineyards, enjoy a wine tasting, continue the trail to Traverse City. Sail Grand Traverse Bay back in style with Chef Bryon Figaroa on board serving dinner of local cuisine paired with local wines. This tour captures the best that Traverse City and Northern Michigan has to offer, it is truly a Pure Michigan experience! This adventure begins at our shop in Suttons Bay and travels down the Leelanau Trail to Traverse City being lead by our knowledgeable local guides. We embark down the paved scenic trail passing farms, orchards and vineyards along the way. 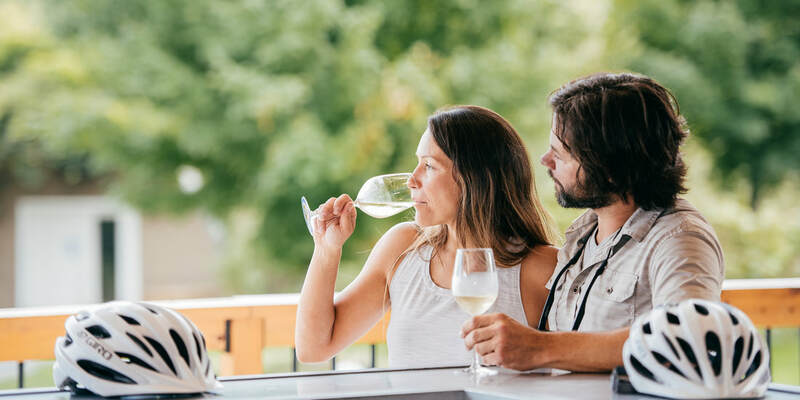 About halfway into our journey, we make a detour at Shady Lane Cellars for a guided wine tasting paired with chef selected charcuterie & cheese. Following our pleasant detour, we hop back on our bikes for our last leg into Traverse City. Arriving at the pier, we have a moment to change and get ready for our sail back. Thanks to our support van which has transported all of your personal belongings that weren’t needed for the bike ride. Following an intro from the captain & crew prior to embarking; we toast to the day with local wine & craft beer. Our guides will morph into your servers as the sail begins. On our tour back of Grand Traverse Bay dinner will be hosted by renowned local chef, Bryon Figaroa of FIG’s restaurant in Lake Leelanau. Chef Fig will mesmerize your taste buds with an artfully paired farm to table meal on board the ship. 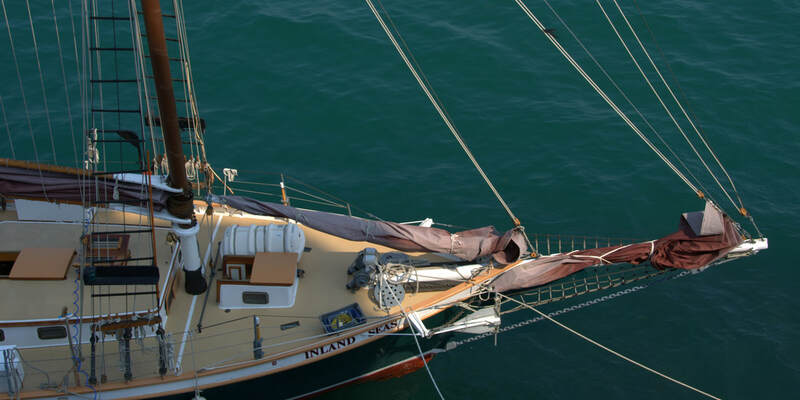 For those of you who are interested in sailing there will be various opportunities to help the crew rig the sails amongst other tasks, becoming part of the team sailing on the Great Lakes. The tour will finish back in Suttons Bay after the 2.5 hour sail and tour of Grand Traverse Bay. Join us for this truly unique experience! Featuring a Seasonal Menu Curated by Chef Bryon Figaroa! Chef Bryon Figaroa will be on board serving seasonal farm to table cuisine from his FIG’s restaurant. Below is a sample menu. 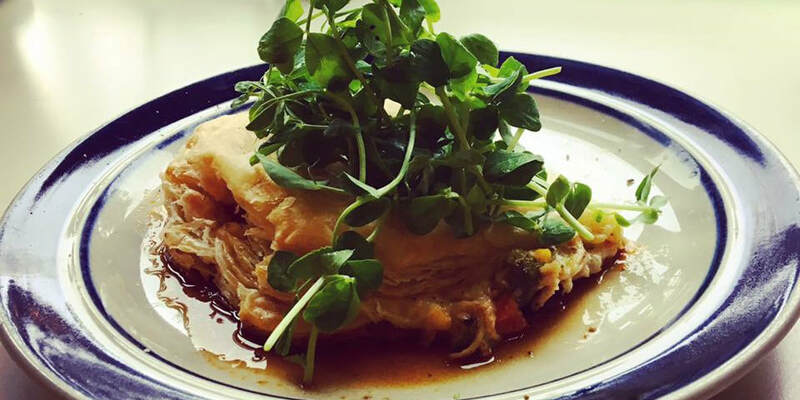 The most recent harvest here in Traverse City will lead the creation of his dishes. Please arrive at our shop in Suttons Bay around 1pm to get fitted on our bikes. We will start pedaling at 1:30pm. Our winery visit to Shady Lane Cellars will be approximately 1 hour. We encourage you to bring your ID\ and a credit card in case you find some wines you enjoy. Wine purchases will be transported back to our shop for pick up after the tour. Wine Tasting and drinks on the ship are included, but tips for servers and guides recommend. All reservations must be made for participants ages 21 or older. ID verification will be required for all tour guests at the winery and boat. Full pre-payment required to confirm your reservation. Cancellations made 72 hours before the start of the tour are allowed for a full refund. Cancellations made during the 72 hrs before the tour are subject to a $25/person admin fee. Cancellations made during the 24 hrs before the tour are subject to a $55/person admin fee. We have you covered in the small chance of rain. We provide rain jackets and fenders on your bike to keep you as dry as possible. If heavy rain, we have the ability to transport the group to the wineries and boat with our support van. The Inland Seas Schooner is also outfitted with a full supply of rain gear. ​This trip is only possible thanks to Inland Seas Education Association and the charter of their 77’ Gaff Rigged Tall Ship Schooner. Inland Seas Association is a non-profit that is focused is on protecting the Great Lakes through education. By combining Great Lakes sailing and science they offer hands on learning for students, adults and families. 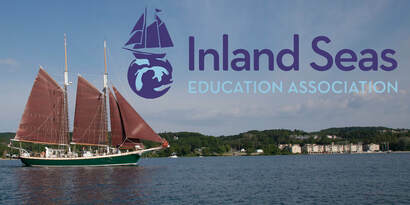 Please visit their website to learn more about Inland Seas Education Association and their programs.